Cooper Service, located in Orland Park, Illinois specializes in semi towing. Our outstanding dealership offers flexible rates on semi towing. Heavy duty towing and recovery procedures start at $155, and we offer flatbed towing, as well, with rates starting out at $85. In addition, Cooper Service also offers steer skid service for your convenience. Cooper Service is more than just a towing place. Even though we do semi towing, we provide a lot more than that. We also have a repair and maintenance department that goes the distance to ensure that your vehicle is running smoothly. This means we do checkups on all major components and any necessary repairs you may require on your vehicle. Some of our services include: transmission, electrical repair, engine repair, brakes, alignments, air bag system repair, emissions repair, tune ups, P.T.O. repair, along with numerous other maintenance and repair services. We have been serving the Chicagoland area now since 1956, and we have constructed a large customer base built on long standing good reputation and high end customer service. As a customer, you will be treated like one of the family when you come to Cooper Service. "Family" you ask? Yes, that is correct. Cooper Service is a family owned business who cares about each and every customer that comes through the front door, and we make you feel at home when you visit our unique location. It does not matter whether you require a checkup on your vehicle, repair work, or semi towing services, Cooper Service in Orland Park, Illinois does it all. 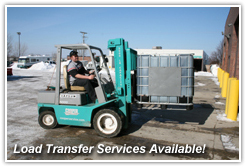 We also offer storage options for boats, trucks, cars, trailers, and RVs. Please stop in today and speak to one of our courteous customer representatives and get a great price on any service you may require in order to get your vehicle back on the road in a time efficient manner.